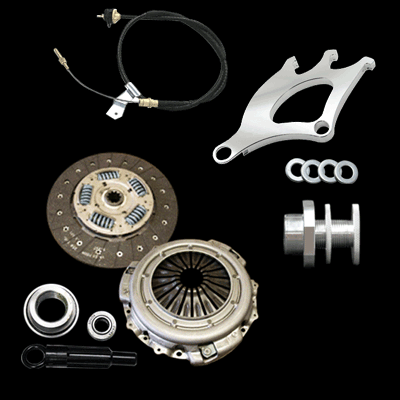 UPR's Adjustable Clutch Cable/Quadrant and Firewall Adjuster Kit is the ultimate package for your 79-95 Mustang. Includes our Triple hook quadrant that was recently redesigned with a new radius that decreases pedal effort by 20%. Also includes our best selling Double Lock Firewall Adjuster that is easy to set and lock into place. Plus you also get our adjustable Clutch Cable, which features low friction liner and Heavy Duty stainless steel wire.